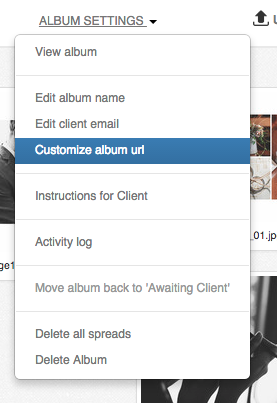 New feature: Customize the random string at the end of the album link. We just launched a really nice feature: Now you’ll be able to get rid of that random string on the album link and use your own clients’ names! 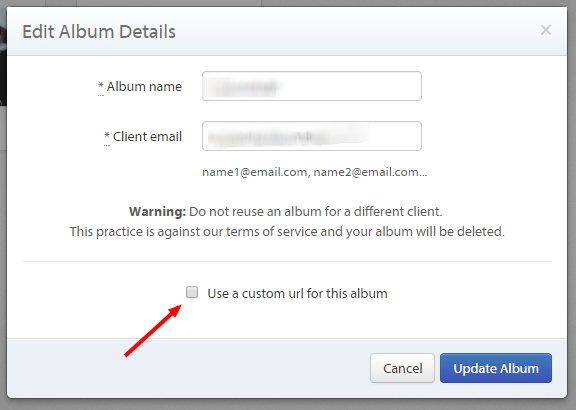 To use this feature, simply click on the Album Settings menu and choose: Customize album url.